Perhaps one of the more annoying aspects of social media is the impulse to hyperbole. Moderation and sense are abandoned in favour of grand statement, grander sentiment and the far-reaches of time and space are plumbed to explicate a simple political position, an emotional trial, or whatever the subject is. The weird thing is how this tendency works across both positive and negative attitudes: a night out was THE BEST EVER; a foreign policy IS ABSOLUTELY THE DUMBEST THING SINCE THE SUEZ DEBACLE – whatever it is, IT CHANGES EVERYTHING. Even so, one particular meme emerged after the Paris attacks – a short video of a text read by the physicist, Carl Sagan. In it, Sagan reads from one of his books, and explains that the universe is so vast that it renders human action simultaneously trivial and beautiful: trivial because of the significance we ascribe to it in such an unimaginably vast and dramatic place, and beautiful because of the fact it happens at all. This was in response to Paris attacks – the tone being to remind us all that the world is gorgeous and delicate, and that we have to take care of it – not call for reprisals against this or that group and make outrageous calls for war against this or that country. Well, Sagan’s talk may have inspired us for a moment, but bear in mind that you might be inspired for a lifetime because of what’s happening in the next few weeks. I’m not even exaggerating. 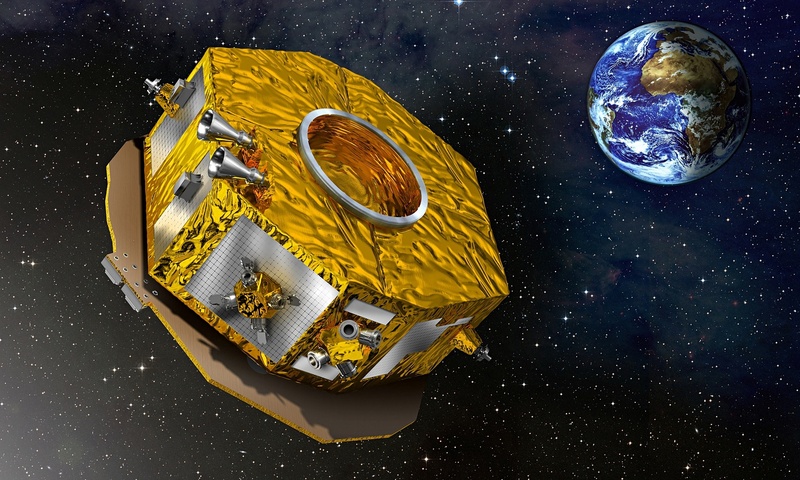 The Lisa Pathfinder will launch on the 2nd December from the European Space Agency’s base in Guiana. It will carry components that will be tested as part of a future orbiting gravitational wave observatory. Their existence was posited by Einstein, and has been a controversial topic in astrophysics ever since. At least that’s what the Wiki article says – there’s a lot – like everything – like OH MY GOD I’M NOT KIDDING – that’s new to me here. But apparently, this launch could go a long way to finally proving Einstein right or wrong – which would be totes !!! for nerds galaxy-wide.